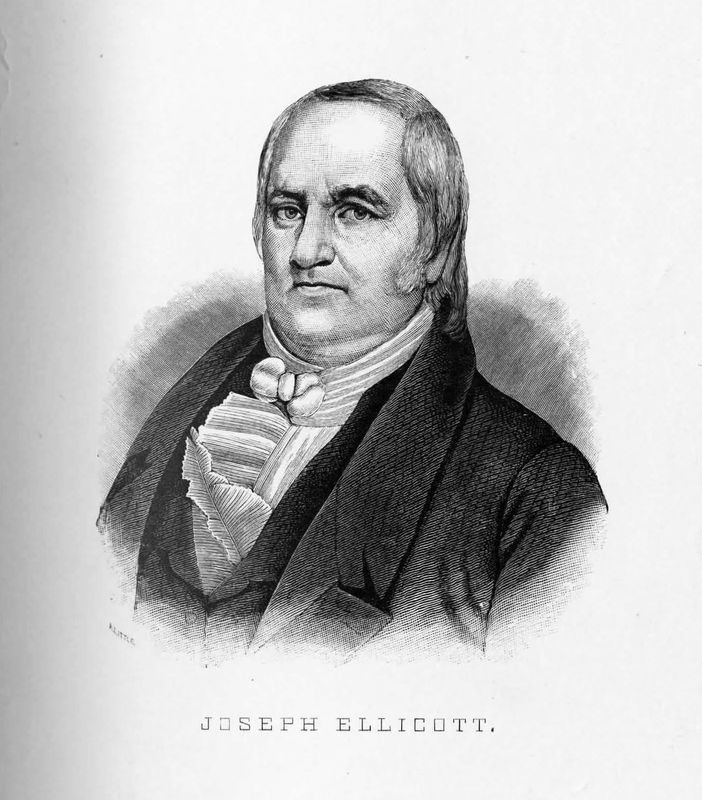 Joseph Ellicott (1760-1826) is best known as an agent for the Holland Land County, operating primarily out of Western New York. He also assisted his brother Andrew in planning the layout of Washington D.C.
D. Mason & Co., Syracuse, N.Y. Available for use. Source material in the public domain. Portraits from the City of Buffalo and Erie County, With Illustrations and Biographical Sketches of some of its Prominent Men and Pioneers. A. Little, “Joseph Ellicott,” Digital Collections - University at Buffalo Libraries, accessed April 22, 2019, https://digital.lib.buffalo.edu/items/show/80900.